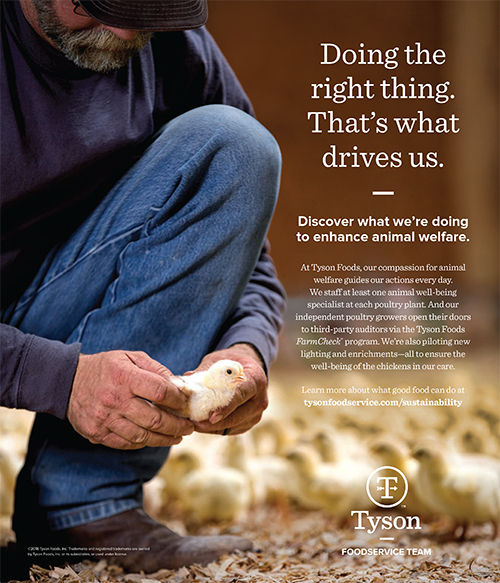 I started off the new year in a poultry house working on an ad campaign with Tyson Foods and their advertising agency. We had three specific shots in mind, and it all sounded simple… while baby chicks are super cute to watch run around and hold, they don’t make for the most cooperative subjects. There was some chicken wrangling going on that day. We had six people on set, and while I was shooting it sometimes took the other five people to corral the chicks in the background to fill the space in the frame. It was pretty entertaining at times to watch the babies run along chirping, and we all really enjoyed holding them. Here’s a cute shot of my art director holding a baby chick that fell asleep in her hand. I also shot a little bit of Track and Field even though I “retired” from shooting sports almost 4 years ago. I absolutely miss being on the sidelines, and Hap encourages me all the time to get back out there and shoot. His comment the other day cracked me up when he told me I had one of the most famous photos in Arkansas sports history. He’s 12, remember? He was talking about the shot of Matt Jones from 2003 that was photoshopped to look like he was giving the hook-em-horns down sign. My child told me that his friends don’t believe him when he tells them his mom took the picture. That’s when I taught him all about google images, and how to find the shot the next time someone doubts him, lol. You absolutely have to love little boys and their sweet, innocent arguments. Ok, ok, the glory days are over and back to business. I shoot track every year because it’s my favorite sport, and I’ve been doing it for so long that I’ve made connections with a lot of the schools other than Arkansas. It’s fun, and a great way to stay busy during my typically slow months (although that was not the case this year). I picking up Ole Miss, Georgia, Texas A&M, Missouri State, Mizzou, New Orleans University and Tulsa. Two meets and 7 schools made for a lot of scrambling, but I got it all covered, and had some help from my super talented friend, Sarah Bentham Photography. She’s an amazing photographer who also used to shoot sports, but has now moved on to weddings and other happy moments in life. Here are a few shots from the meets. Head shots in the studio are a given every month, but this one was a bit more special since it was a friend. Her son plays soccer with my son, so we’ve chatted it up on the sidelines for years. She ventured out into the world of real estate, so give Anna Nelson a call if you’re in the market for a house. I photographed Danny Allred for the Northwest Arkansas Business Journal. He runs the Doug McMillon innovation studio at the University of Arkansas. It was fun to talk about the student projects, and also learn his history with engineering, and see a motor controller that he designed. Teeny tiny stuff!